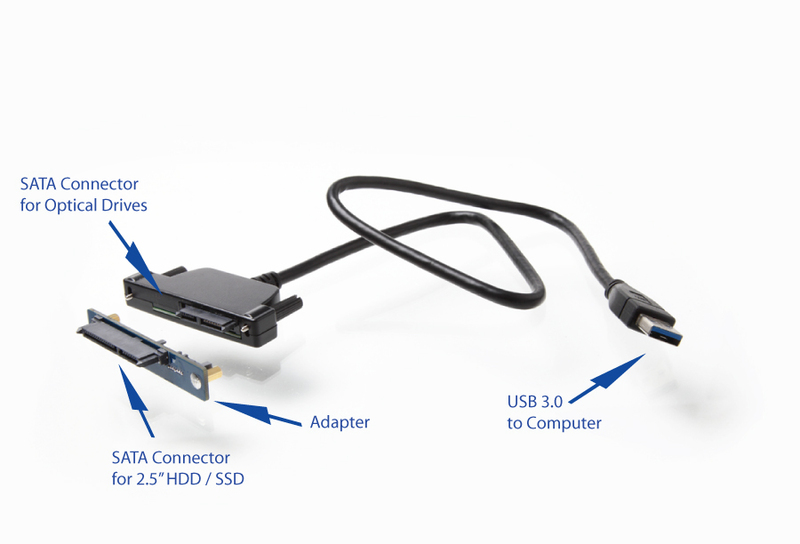 Choose from one of the cables below to connect a SATA 2.5" HDD or SSD externally via the USB port or eSATAp port. If your laptop comes with a eSATAp port (also known as "eSATA-USB Combo Port"), might as well take advantage of that port with a eSATAp cable. If you don't have an eSATAp port, choose one of our USB cables. These cables offer a "one plug" solution. No need to connect any other cables. If you have several Hard Drives or SSD's, you can easily swap drives (connect and disconnect) without the trouble of having to disassemble a USB enclosure. This is an excellent solution for those that have large amounts of photos, video and/or data.